If you’re quick, you can grab the Victorinox Swiss Army 8-Inch Fibrox Straight Edge Chef’s Knife for just $22.70 shipped! This knife is normally $40+ and never goes on sale. If you cook a lot, you know the importance of a quality knife, and this will get the job done! With over 1,400 great reviews, you won’t be disappointed! This is a lightning deal and will sell out fast, so hurry! 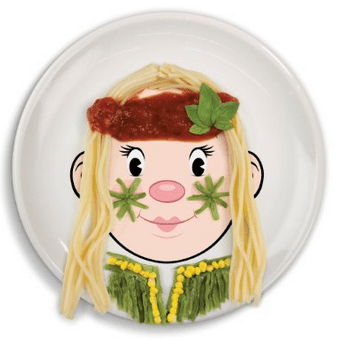 Amazon: Fred & Friends Ms Food Face Plate just $10.49! Great Gift Idea! The Fred & Friends Ms Food Face Plate is a great gift idea and Amazon has it for just $10.49 plus free shipping with Amazon Prime. Make food time fun! And it’s a plate for kids that isn’t plastic, how great is that? https://i1.wp.com/savvywifehappylife.com/wp-content/uploads/2013/12/Screenshot-2013-12-06-at-10.31.55-PM.png?fit=337%2C360&ssl=1 360 337 Brandi https://savvywifehappylife.com/wp-content/uploads/2016/09/SavvyWifeHappyLife-logo-2.png Brandi2013-12-06 22:45:032013-12-06 22:45:03Amazon: Fred & Friends Ms Food Face Plate just $10.49! Great Gift Idea! Amazon: Cute Strawberry Reusable Bag just $0.98 Shipped! Check out this little cutie! I love reusable bags; I use them all the time! The ones that fold up are so convenient to keep in your car (hook them all together!) and take to the grocery store. Nerdboy calls me the Bag Lady. I always carry a bag with me wherever I go. Amazon has this super cute Strawberry Folding Reusable Compact Shopping Bag for just $0.98 with FREE Shipping! The cute bag folds up into an adorable strawberry. These would make a great addition to any gift, gift basket or stocking. https://savvywifehappylife.com/wp-content/uploads/2016/09/SavvyWifeHappyLife-logo-2.png 0 0 Brandi https://savvywifehappylife.com/wp-content/uploads/2016/09/SavvyWifeHappyLife-logo-2.png Brandi2013-12-06 22:25:472013-12-06 22:25:47Amazon: Cute Strawberry Reusable Bag just $0.98 Shipped! Vistaprint: 140 Free Custom Labels (Just $5 for Shipping!) -Great for Christmas! This ends TONIGHT (Friday 12/6)! Vistaprint has this great promo again where you can get 140 return address labels for FREE! For a limited time, you have the chance to get the labels for free, just the price of shipping, $5! Keep in mind that you don’t have to make them return labels if you don’t want. Be creative! You make gift labels, personalized name tags for your kid’s school supplies, or personalize them for teachers! * Create gift tags and stick the ends together to seal a twisted goodie bag or stick them on top of a gift or baked treat. * Use them as “property of” or “belongs to” labels for your children’s school supplies. * Design your own jar labels for baking ingredients like flour and sugar for a spin on the classic chalkboard labels. * Send a couple their own personalized set with their names and new address after their wedding or move. * Upload your own design or pictures to wrap around toothpicks to create adorable cupcake flags for a special occasion. With thousands of designs from bright chevron, to pastel flowers and SpongeBob, you can easily find your favorite design at Vistaprint! https://savvywifehappylife.com/wp-content/uploads/2016/09/SavvyWifeHappyLife-logo-2.png 0 0 Brandi https://savvywifehappylife.com/wp-content/uploads/2016/09/SavvyWifeHappyLife-logo-2.png Brandi2013-12-06 13:23:582013-12-06 13:24:59Vistaprint: 140 Free Custom Labels (Just $5 for Shipping!) -Great for Christmas! 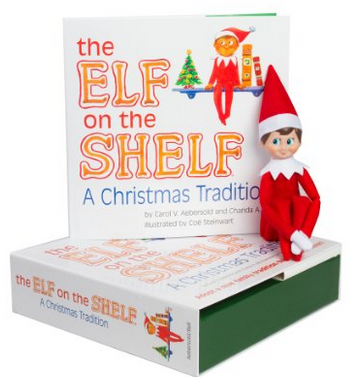 Amazon: Elf on the Shelf just $29.95 + Get $5 back! You can purchase Elf on the Shelf for $29.95 on Amazon and then you’ll get $5 back! Shipping is FREE for Prime members or this book will ship for free with a $35 purchase (which isn’t hard to do on Cyber Monday)! https://i1.wp.com/savvywifehappylife.com/wp-content/uploads/2013/12/Screenshot-2013-12-02-at-10.34.13-AM.png?fit=356%2C377&ssl=1 377 356 Brandi https://savvywifehappylife.com/wp-content/uploads/2016/09/SavvyWifeHappyLife-logo-2.png Brandi2013-12-02 10:34:322013-12-02 10:34:32Amazon: Elf on the Shelf just $29.95 + Get $5 back! *HOT* Custom Photo Blanket just $26 Shipped! ($109 Value) – Great Gift Idea! LivingSocial is offering up a very *HOT* deal! 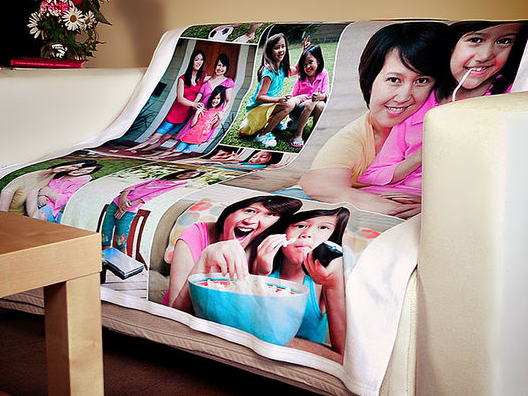 You can score a custom photo blanket for just $26.25 shipped! These make the perfect Christmas gift for anyone in your family. You’ll see the price marked as $35, but use code CYBERMONDAY to score an addition 25% off making your final purchase just $26.25. This blanket retails for $109. This deal is ONLY valid today as the code expires at 11:59 PM PST. https://i1.wp.com/savvywifehappylife.com/wp-content/uploads/2013/12/Screenshot-2013-12-02-at-10.13.04-AM.png?fit=473%2C79&ssl=1 79 473 Brandi https://savvywifehappylife.com/wp-content/uploads/2016/09/SavvyWifeHappyLife-logo-2.png Brandi2013-12-02 10:28:212013-12-02 10:28:21*HOT* Custom Photo Blanket just $26 Shipped! ($109 Value) - Great Gift Idea! York Photo: Free Custom Photo Mug (Just Pay Shipping)! -Ends Tonight! For a limited time, York Photo is offering up a FREE 11 oz. Personalized Mug ($9.99 value)! This would make a great Christmas gift. Just enter code GIVEMUG at checkout. You will have to pay the shipping cost ($5.99), but that’s still a great deal on a custom mug! Plus all new users get 40 free prints! https://savvywifehappylife.com/wp-content/uploads/2016/09/SavvyWifeHappyLife-logo-2.png 0 0 Brandi https://savvywifehappylife.com/wp-content/uploads/2016/09/SavvyWifeHappyLife-logo-2.png Brandi2013-11-30 21:18:382013-11-30 21:18:38York Photo: Free Custom Photo Mug (Just Pay Shipping)! -Ends Tonight! I love hitting the Black Friday deals from home! 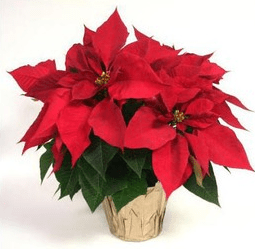 Lowe’s has $0.99 1 qt Poinsettias today, while supplies last! Lucky for us, we can order online and pick up at the store for FREE. 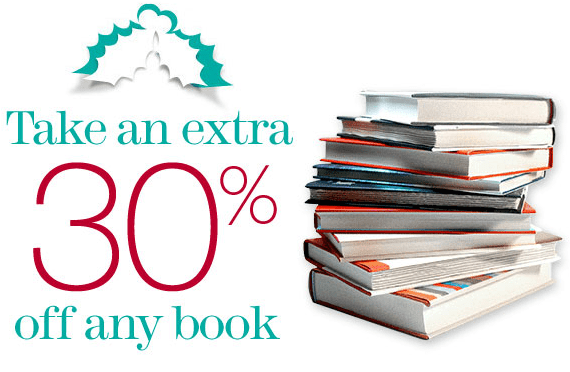 Amazon: *HOT* 30% off Any Book! I also want to note that Amazon is offering 30% off Any Book (max discount $10) when you enter promo code BOOKDEAL at checkout! Books must be shipped and sold by Amazon.com to qualify. The promotion is valid for a limited time only, from November 27, 2013 at 9pm PST to December 1, 2013 at 11:59pm PST. https://i1.wp.com/savvywifehappylife.com/wp-content/uploads/2013/11/Screenshot-2013-11-29-at-12.59.41-AM.png?fit=570%2C372&ssl=1 372 570 Brandi https://savvywifehappylife.com/wp-content/uploads/2016/09/SavvyWifeHappyLife-logo-2.png Brandi2013-11-29 01:01:082013-11-29 01:01:08Amazon: *HOT* 30% off Any Book! Amazon: SanDisk Cruzer 32 GB Flash Drive just $11.99 Shipped (Reg. $49)! Looking for a great deal on a flash drive? Amazon currently has the SanDisk Cruzer 32 GB USB Flash Drive for just $11.99 (Reg. $48.99) ! Shipping is FREE with Amazon Prime. https://i0.wp.com/savvywifehappylife.com/wp-content/uploads/2013/11/Screenshot-2013-11-29-at-12.49.05-AM.png?fit=382%2C122&ssl=1 122 382 Brandi https://savvywifehappylife.com/wp-content/uploads/2016/09/SavvyWifeHappyLife-logo-2.png Brandi2013-11-29 00:50:202013-11-29 00:50:20Amazon: SanDisk Cruzer 32 GB Flash Drive just $11.99 Shipped (Reg. $49)!